After a profit warning in March, the French catering giant wants to boost sales and profitability. Its targets still lag those of peer Compass. And boss Denis Machuel hopes to grab market share in the United States, where Compass has an edge, and staff costs are rising. 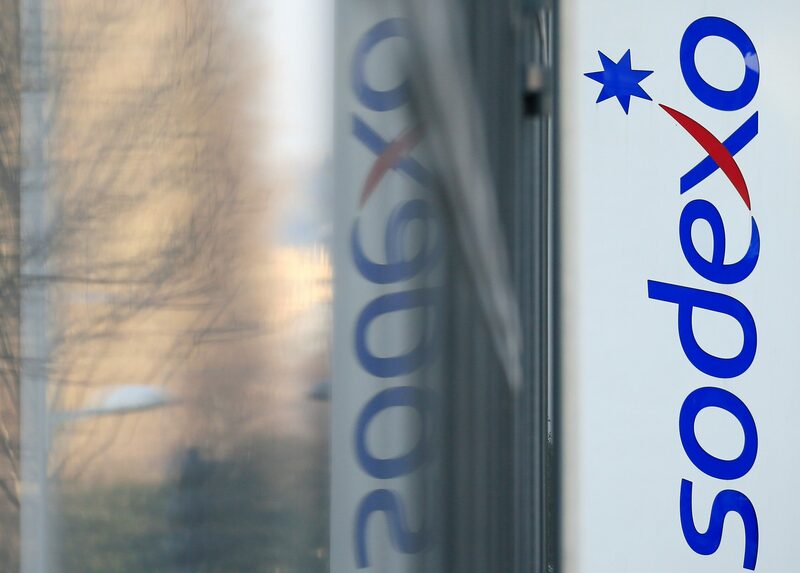 The logo of French food services and facilities management group Sodexo is seen at the company headquarters in Issy-les-Moulineaux near Paris, France, March 18, 2016. Sodexo, a French food services and facilities management group, on Sept. 6 announced new sales and profit targets. The company said it plans to deliver sales growth of more than 3 percent by its 2020 financial year, and achieve an underlying operating profit margin of more than 6 percent. Sodexo reiterated its forecast for organic revenue growth of between 1 and 1.5 percent for 2018, and an underlying operating profit margin of around 5.7 percent. The growth plan includes a renewed focus on food contracts, improved productivity by employing fewer temporary workers, and tighter spending control. The company’s shares have fallen 20 percent so far this year, following a string of weaknesses in the North American business. Shares in Sodexo fell 3.3 percent to 86.6 euros at 0740 GMT on Sept. 6.